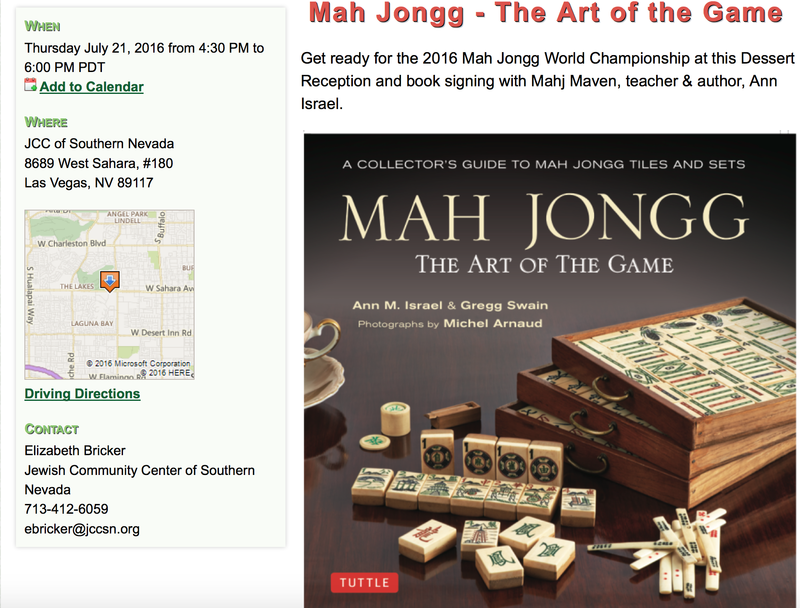 Yesterday I flew out of New York on a Delta Airlines flight to Las Vegas where I spoke at the Jewish Community Center of Southern Nevada and now, for the rest of the weekend, I will be a part of the exciting Destination Mah Jongg World Championship. 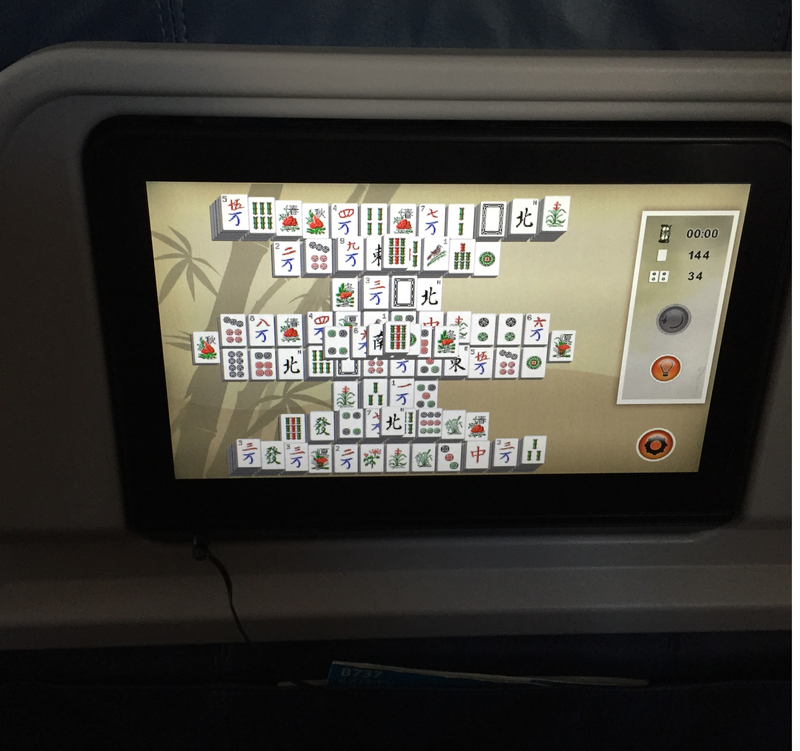 I mention Delta Airlines for a reason…at each seat there is a screen where you can watch movies, television shows, etc. 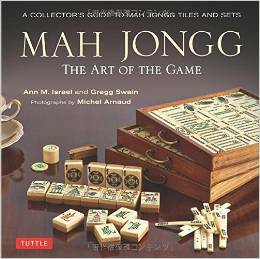 There is even a selection for games. 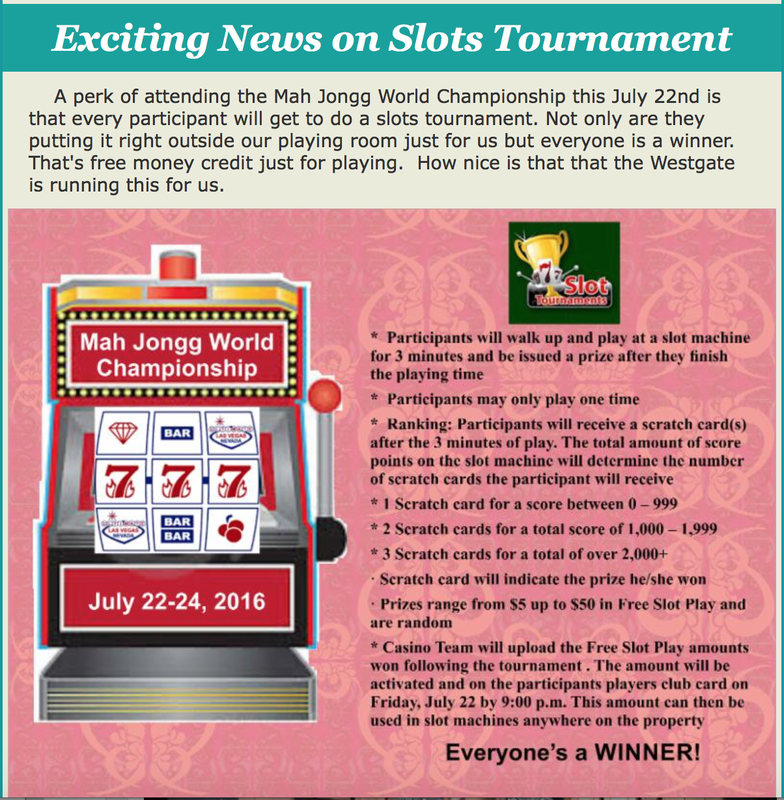 Being curious, I wanted to see what games were up for offer. 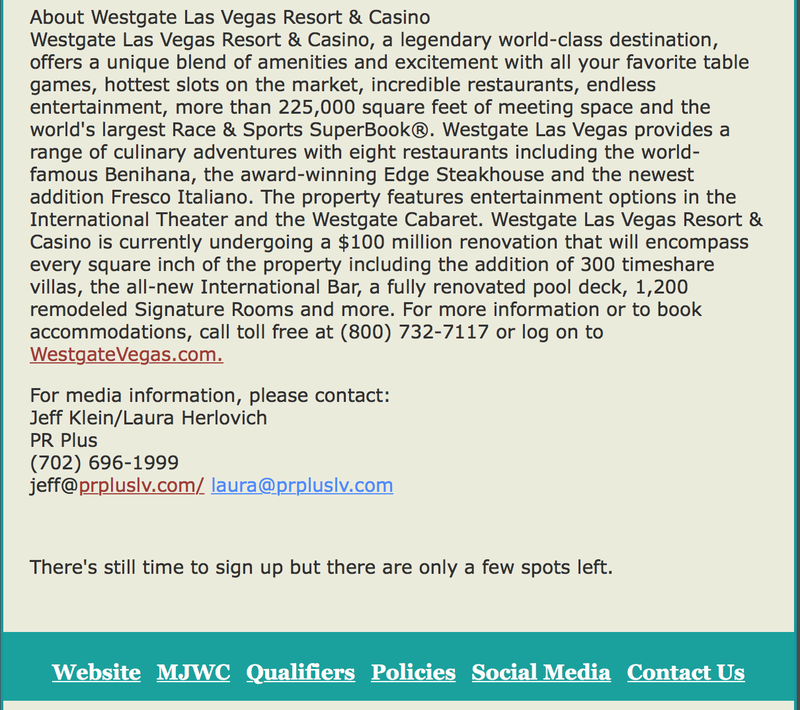 Guess what I found…!!! 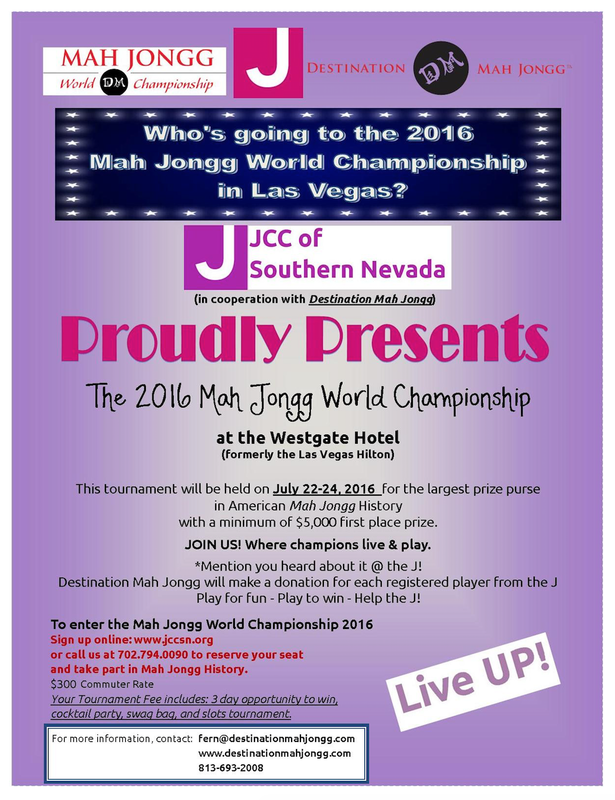 This entry was posted in Mah Jongg and Me and tagged Delta Airlines, Destination Mah Jongg world championship, Jewish Community Center of Southern Nevada, mah jongg, mahjong on July 23, 2016 by Mah Jongg and Me. 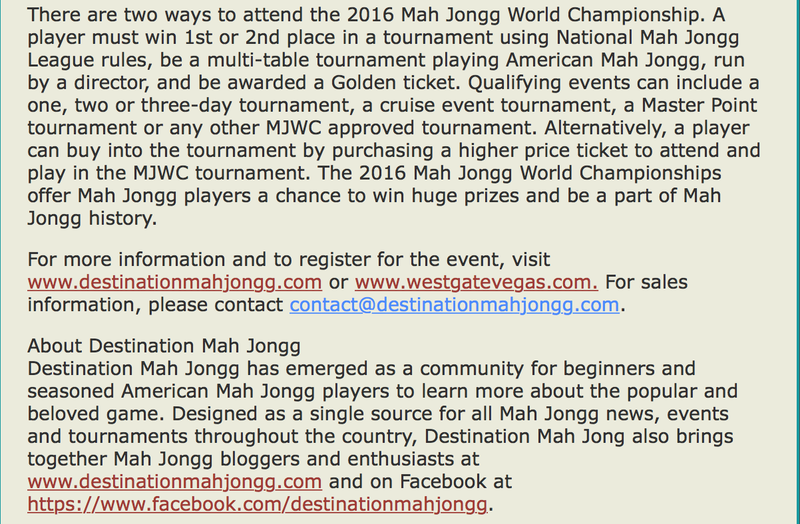 There are still a few spots left for you at Destination Mah Jongg’s World Championship…read on and I hope to see you there! 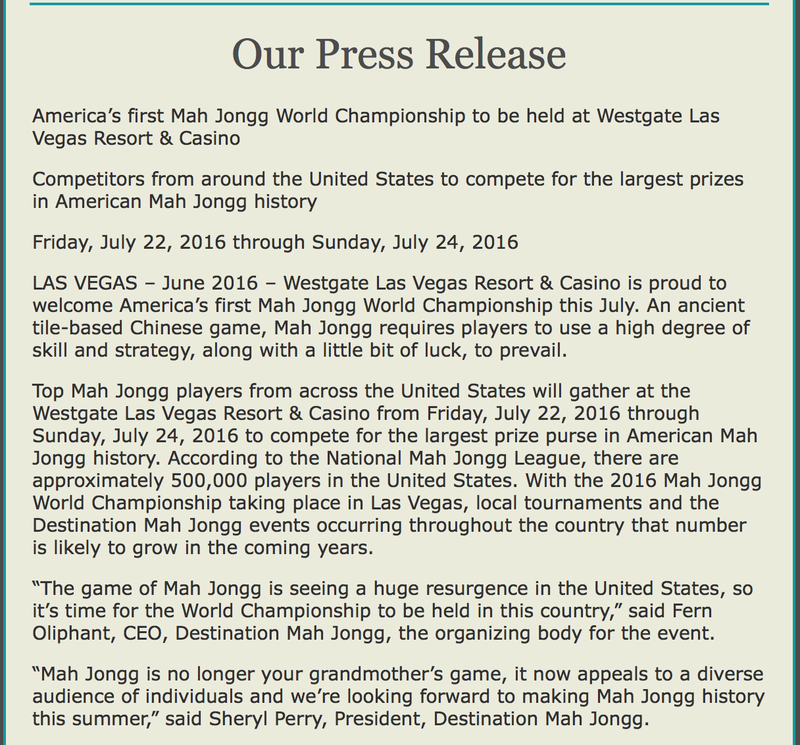 This entry was posted in Mah Jongg and Me and tagged Destination Mah Jongg world championship, mah jongg, mahjong, Westgate Las Vegas Resort & Casino on July 5, 2016 by Mah Jongg and Me. 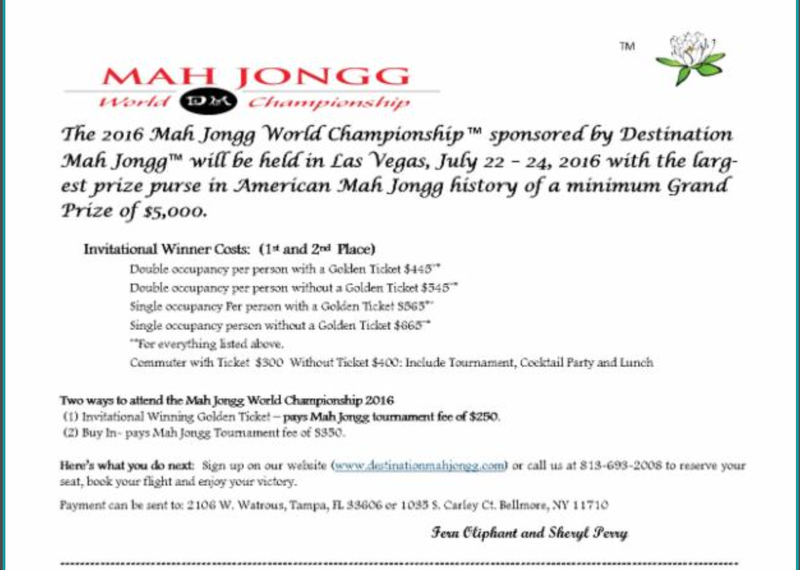 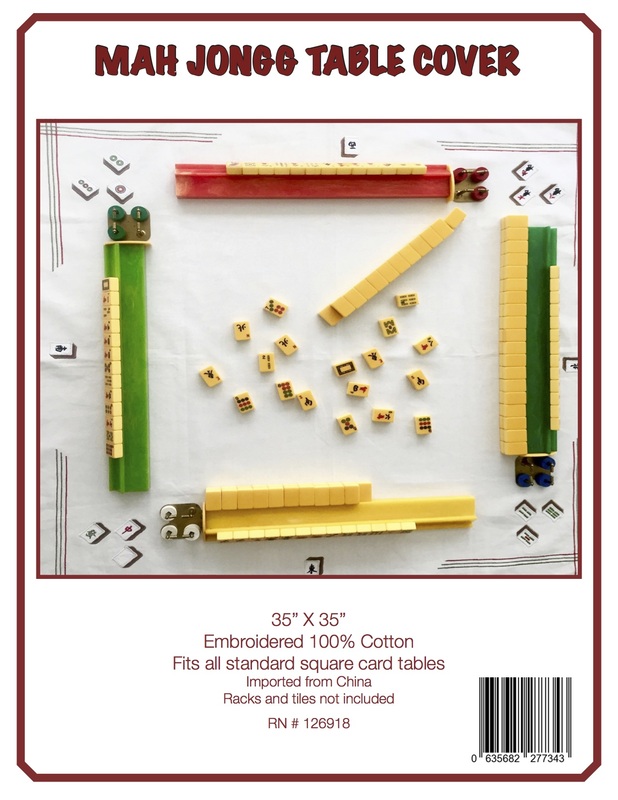 BE A PART OF MAH JONGG HISTORY! 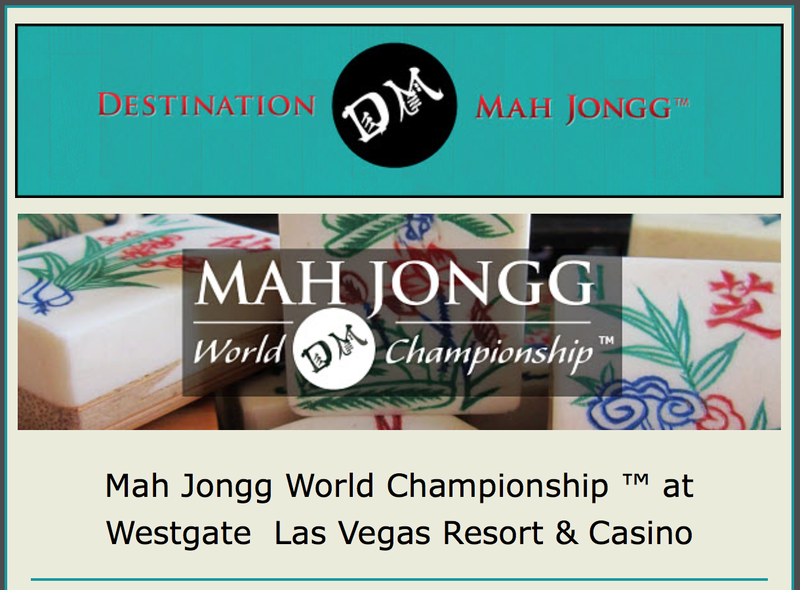 This entry was posted in Mah Jongg and Me and tagged Destination Mah Jongg world championship, mah jongg, mahjong, Westgate Las Vegas Resort & Casino on May 11, 2016 by Mah Jongg and Me.